Buddhism has taught us that wisdom hides in the “middle way“, a path of moderation, between the extremes. The Feminine Energy in Leadership Workshop comes as a contra-balance to the overly masculinized corporate culture. Zen Buddhism believes that if an individual has an imbalance of masculine or feminine energy this energy becomes wounded, the same rule applies to organizations and communities. Wounded masculine energy manifests in Abuse of power, Dominance, Aggression, Control, Unhealthy Competition. We can heal the wounded energy by nurturing the opposing energy in this case – feminine. Which manifests in: Unconditional Love, Understanding, Nurturing, Kindness, Surrender. The concept of masculine and feminine energy is not about men and women. It refers to the polarity of behaviors and attitudes that are distinct from gender. Masculine energy is characterized as pragmatic, goal-orientated, competitive and assertive. Conversely, feminine energy is characterized as expressive, relationship-orientated, collaborative and empathetic. Historically most workplaces have been male dominated and valued masculine energy – desiring sovereignty and status above all else. However, the emerging importance of “Servant Leadership”, whereby a leader’s primary role is to serve others, shifts attention towards feminine energy – a desire for collaboration and operating from a place of compassion. Leaders need to tap into both their masculine and feminine energy to lead an engaged and productive team. When leaders display too much masculine energy they are outwardly focused towards goals and achievements at the expense of relationships, and can appear aggressive and insensitive. 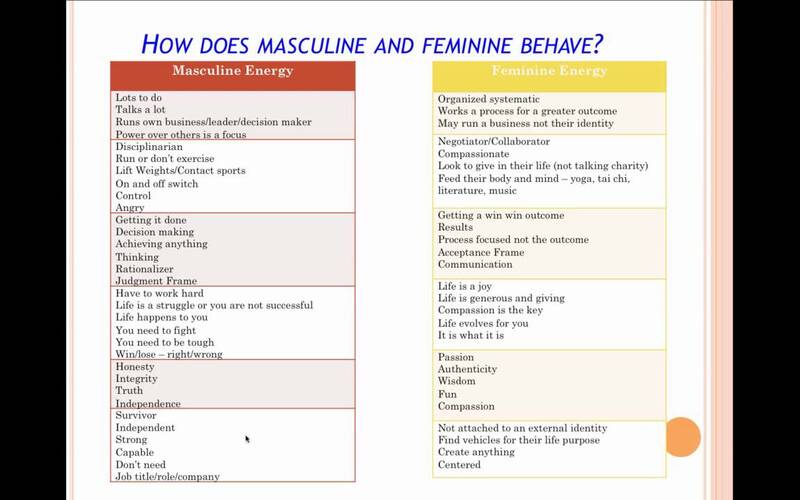 The masculine energy seeks productivity and directs others towards an outcome; however, by not appropriately enrolling others, it unintentionally loses productivity in the long term. On the other hand, when leaders display too much feminine energy they are inwardly focused towards feelings and empathizing; “going with the flow” and seeking consensus at the expense of driving an outcome. Effective leaders need to integrate their head and heart; harnessing both relationships and results. This alignment facilitates superior communication, decision making and output. It allows leaders to drive outcomes on behalf of relationships in a united manner. 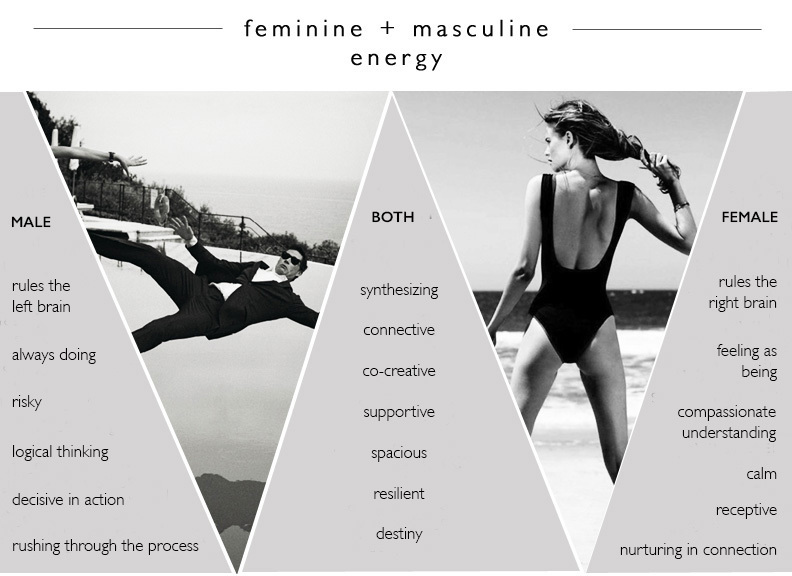 So how do you balance your masculine and feminine energy? Demonstrate drive as well as compassion. Balance objectivity with empathy; analysis with creativity. Be both assertive and receptive. Pursue goals and awaken potential by developing a shared understanding and agreement on the way forward. Then, rather than mulling over the goal itself, consider the process to achieve goals through others. Whilst independence is sometimes required, don’t be afraid to admit what you don’t know so you can leverage the strengths of others. Insist on high levels of performance once you have created a strong relationship with the team. In order to realize powerful outcomes, it’s important for leaders to connect with others. When team members have a solid relationship with their leader, the task has more meaning, which leads to increased performance. Thank you for your kind words. I am just a regular life experienced writer, who writes about many meaningful things in life. Thank you very much for your kind respons. I am very glad to read this.